Agents of S.H.I.E.L.D. fans didn't have to wait long for a hint about where the show is headed in its upcoming fourth season. In fact, the S.H.I.E.L.D. 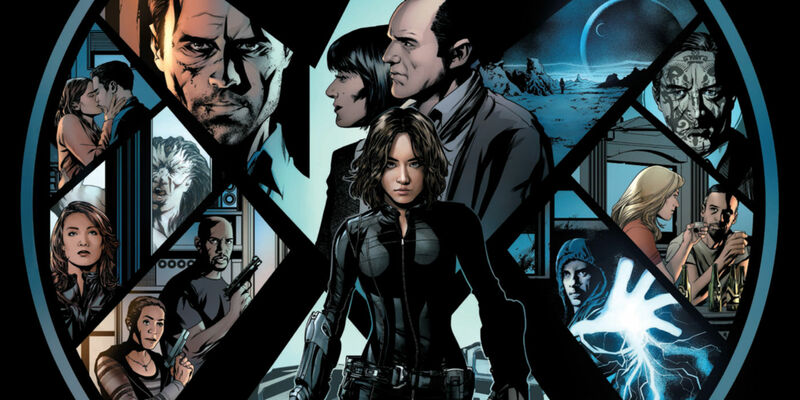 season 3 finale wrapped up with an epilogue that was set several months after the rest of the episode - showing Daisy Johnson (Chloe Bennet) on the run and using her Inhuman super-powers for noble causes outside of S.H.I.E.L.D. 's jurisdiction. Meanwhile, S.H.I.E.L.D. itself has gone through some major changes in power dynamics following the events of the show's season 3 finale (and, tangentially, the events of Captain America: Civil War), as evidenced by the fact that Phil Coulson (Clark Gregg) is no longer the director of S.H.I.E.L.D. by that point in time. As you would expect, the Agents of S.H.I.E.L.D. cast and crew have encouraged fans to speculate about what events led to this new status quo for season 4 - as well as who the new S.H.I.E.L.D. director is - without actually spilling the beans, themselves. Fortunately, we do now have a concrete date for when the adventures of Daisy, Coulson, and the rest of the S.H.I.E.L.D. ensemble will continue on the small screen. While ABC president Channing Dungrey has said that Agents of S.H.I.E.L.D. 's move to the 10/9c slot could allow season 4 to “to go a little bit edgier, go a little darker and take some risks,” season 4 isn't expected to be significantly darker than season 3. The show's third season did wrestle with more adult subject matter and content than season 2 had before it, so it's plausible that season 4 will only go a bit further down that path that the Marvel TV series is already moving on anyway. It's fitting too, given the state of things in the S.H.I.E.L.D. side of the Marvel Cinematic Universe when season 4 picks up. Of course, Agents of S.H.I.E.L.D. won't ever go as dark or adult as Marvel's Netflix TV series (Daredevil, Jessica Jones, and so forth), so long as it remains on ABC. S.H.I.E.L.D. is currently the only MCU TV series due to air on the network during the 2016-17 TV season, following the cancellation of Agent Carter (after two seasons) and S.H.I.E.L.D. TV spinoff series pilot Marvel's Most Wanted not being picked up by ABC. That doesn't mean that S.H.I.E.L.D. is likely to leave ABC in the future (it's not), but it does raise question about the fates of the Marvel/ABC TV series that are currently in development; including, the workplace comedy Damage Control, as well as the Cloak and Dagger TV show on the ABC-owned Freeform. Agents of S.H.I.E.L.D. season 4 airs on ABC Tuesday nights at 10/9c, starting on September 20th, 2016.